WWAARC’s Family Support Service Staff are committed to serving families who care for their loved one(s) with intellectual and/or developmental disabilities at home. We offer various supports and services to families in an effort to help them keep their loved one(s) home for as long as they are able. Eligible people may participate in one or all of the programs that are offered. This grant funded program is designed to provide financial relief to parents/caregivers for Respite services (relief from caregiving) and Goods and Services purchased to support the person. Once enrolled in Respite Reimbursement, the parent/caregiver ‘hires’ their own respite worker to provide respite in their home. Timesheets are submitted to WWAARC and reimbursements are made to the parent/caregiver from their allocated funds. In addition to on-going reimbursement funds, WWAARC also has emergency funds available for additional support/respite hours or family member. In Goods and Services Reimbursement, receipts may be submitted for eligible expenses (those necessary to support the person with the developmental disability), to be reimbursed to the family. The Drop-In Center offers both recreational and leisure activities in Albany County. People have the opportunity to be involved in activities such as playing board games, reading books and magazines, listening to music, working out or swimming at the YMCA, playing in the gymnasium, bowling, cooking, going to local dances, using the computer, going to the library, doing yoga, mall walking, volunteering in the community, going to concerts and more. This gives each person the opportunity to have a good time and socialize with their peers. This is a site based program that currently offers opportunities for people in Warren and Washington Counties to attend a variety of social and recreational activities, typically on Sundays. Pre-planned events, shows, trips and other activities are offered monthly. People enrolled participate in these activities in groups of approximately five. This program operates out of our Maple Street Day Habilitation location in Glens Falls. Located in Warren County but utilized by residents of surrounding counties as needed. 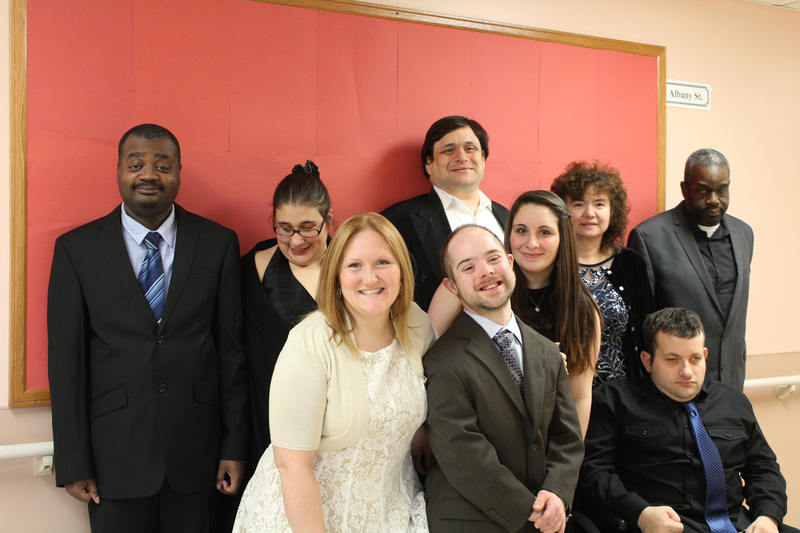 We operate one of the few Free Standing Respite Programs in all of upstate New York. This program provides a home-like environment combining recreation and socialization with other people who have similar needs and interests. Our respite center provides an accessible, relaxing environment and it is close to many local attractions, events, shops and activities. Weekend Respite – We provide weekend overnight respite to children and adults who live at home. We are open on Friday at 2:00 p.m. until Sunday at 4:00 p.m. The parent/caregiver is responsible for transportation to and from the center (although some days programs transport on Fridays). Medication administration, supervision, personal care, and meals are provided. School Break Respite – This is a recreational program for children who are still attending school and it operates during school vacations. We are open Monday through Friday from 7:30 a.m. – 5:00 p.m. during select school breaks throughout the year. We pre-plan daily outings/activities and go out in small groups. Staff provides 1:1 training and assistance to people in acquiring skills to enhance their independence at home and in the community. Visits are regularly scheduled and usually range from 1 – 3 hours daily, up to 5 days a week, depending on the needs of the individual. Community Habilitation Plans are person-centered and focused on assisting people in areas such as socializing in community settings, increasing communication skills, developing independent living skills and teaching safety skills.